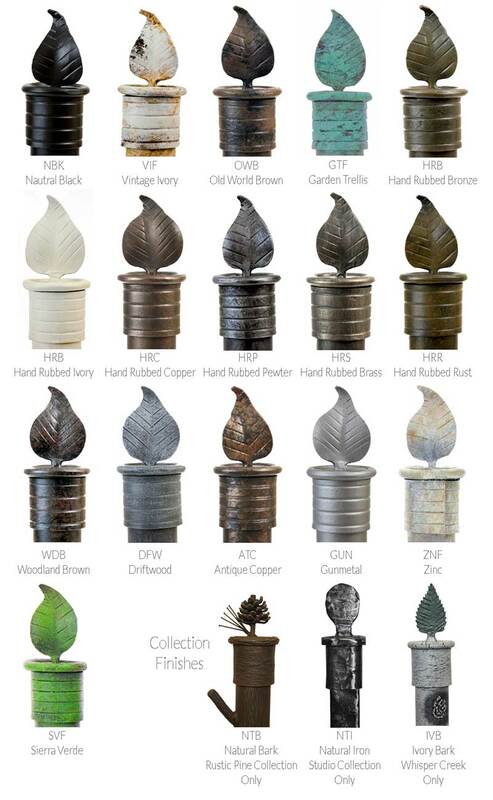 The hand-forged Leaf wall sconce is available with five different globe options including; frosted glass, parchment, craft, ivory, or copper. 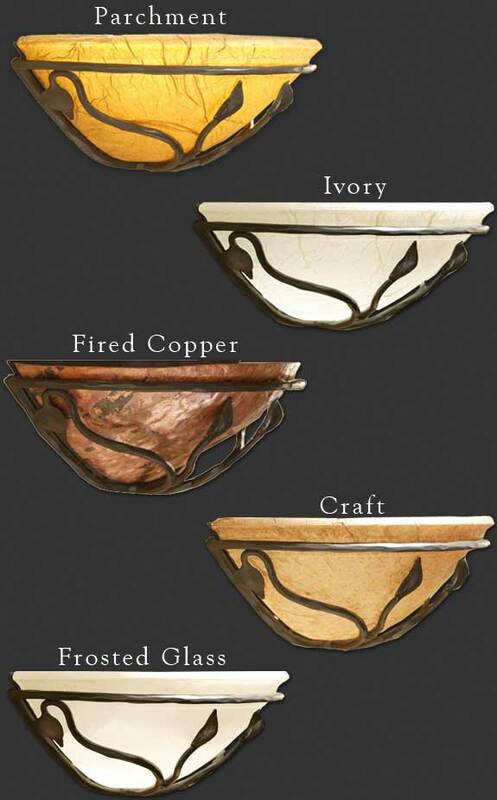 There are also a variety of finish options available - Natural black is the most versatile finish and our most popular. This light fixture creates a wonderful indirect lighting effect. 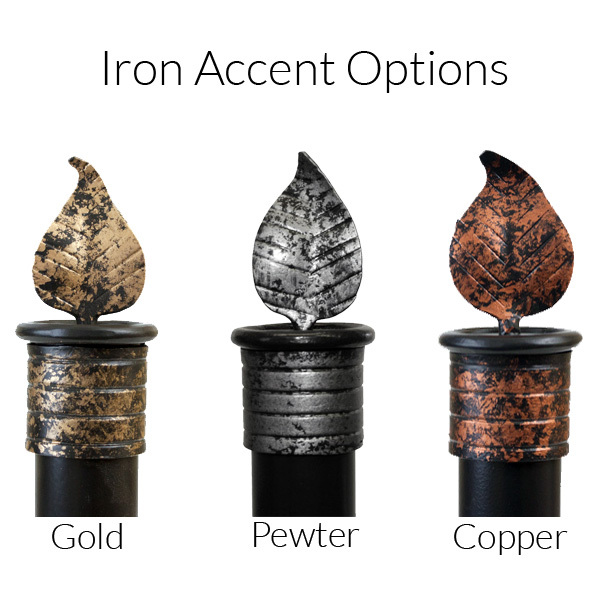 Special finishes and accents will highlight the hammered textures in the iron. All light fixtures are UL approved. Accepts a 60 Watt max bulb. Overall Measurements of the Leaf Sconce are 12" Wide x 6" High x 5" Deep. This piece really dresses up or tiny powder room. The quality exceeded my expectations.